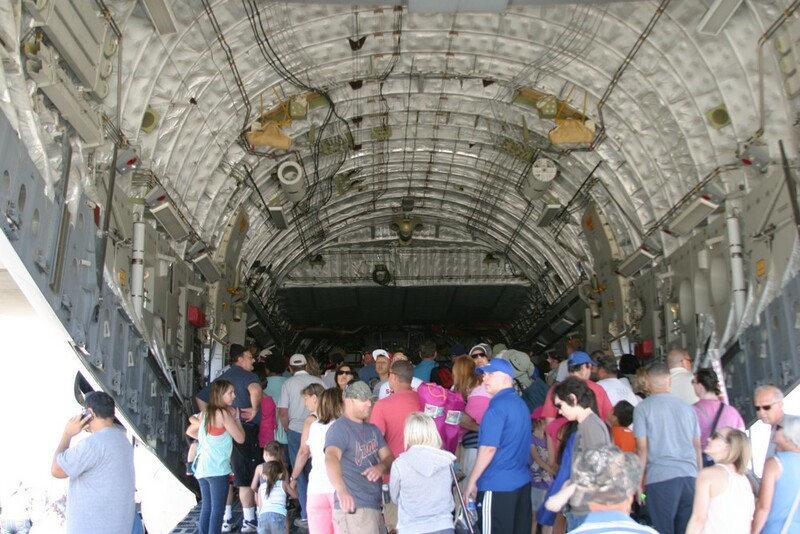 As has been a tradition for many years, Luke Air Force Base, Glendale, Arizona once again hosted is bi-annual Luke Days open house. 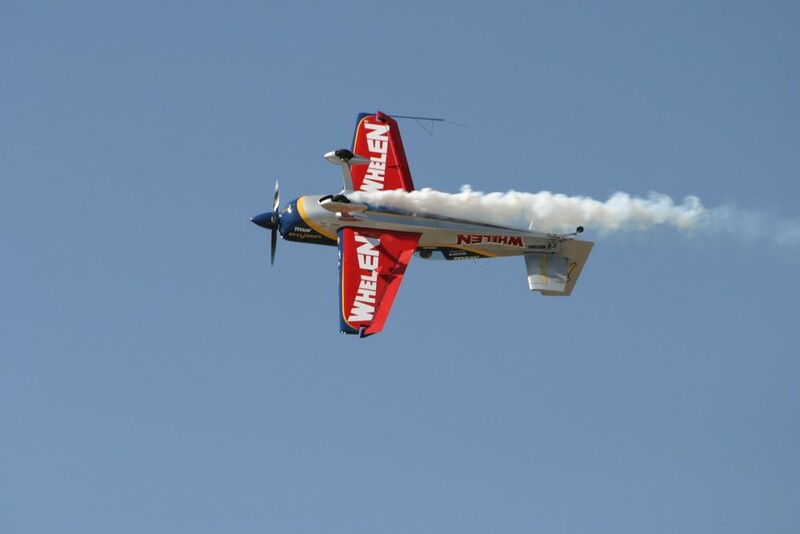 And as has been traditionally one of the finest airshows produced, this year was no different. 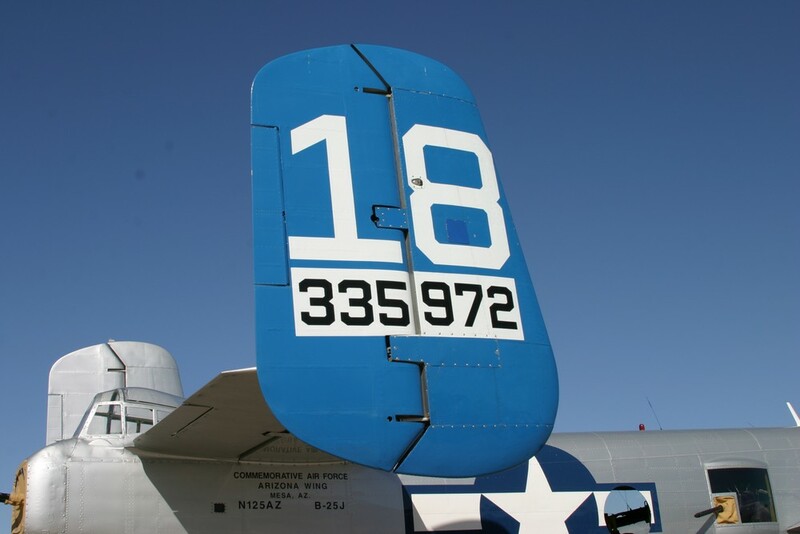 Luke Air Force Base has been a part of the Phoenix area for more than 70 years. 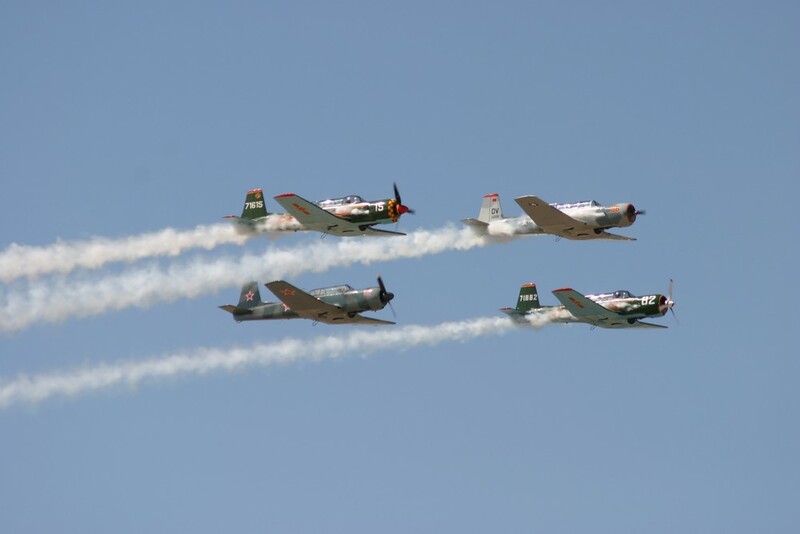 In that time, as well as becoming a vital part of the local tapestry, Luke has become the premier fighter pilot training base in the world, and over 50,000 aviators have earned the title Fighter Pilot in the skies over and around this hallowed ground. 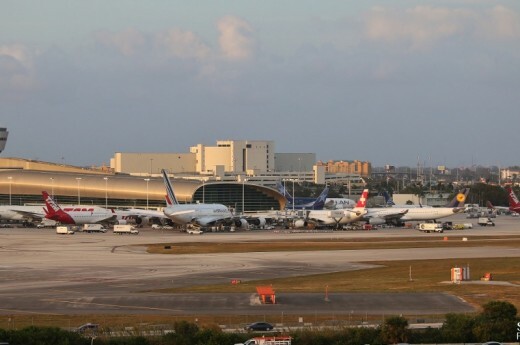 Countries from around the globe send their pilots here to learn from the best of the best. 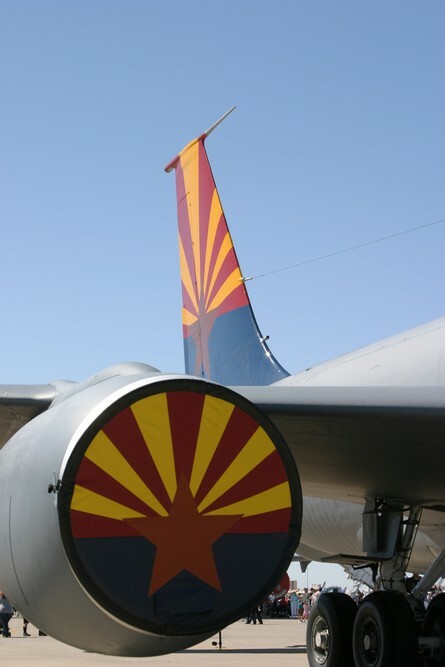 The base is a source of pride for not only the men and women stationed there, but for the Phoenix area, the state and the Air Force as a whole. 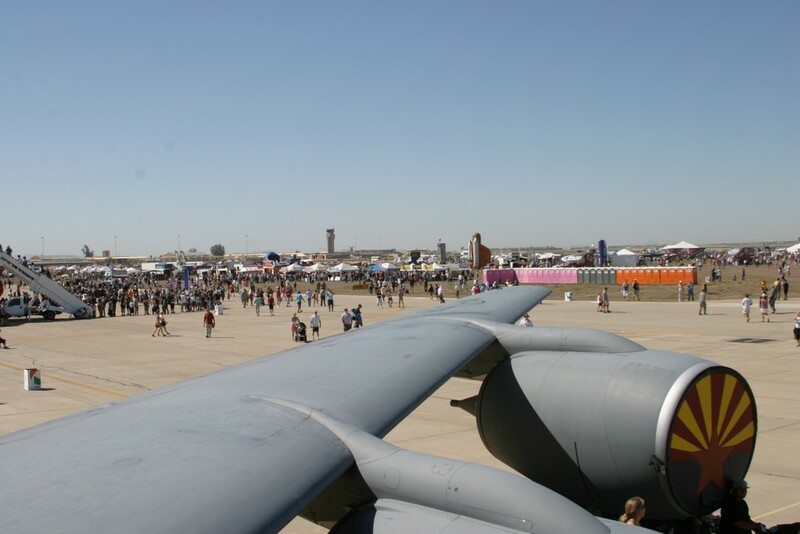 Consequentially, every two years the airshow and open house here attracts thousands and thousands of spectators, families, aviation enthusiasts and those who enjoy witnessing the finest the United States Air Force has to offer. Unfortunately, due to cuts due to the budget sequester, the previous Luke Days open house was canceled. However, those that love the base were undeterred and this years attendance was a record smasher. 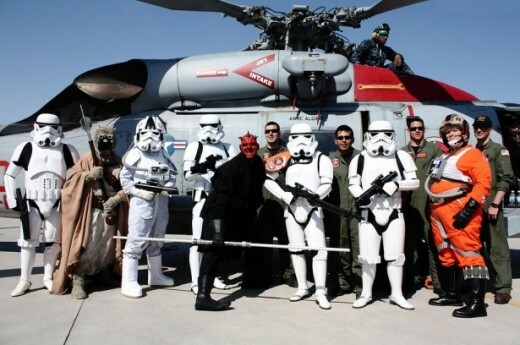 Over 200,000 people participated over two days of exceptional static and flying displays. 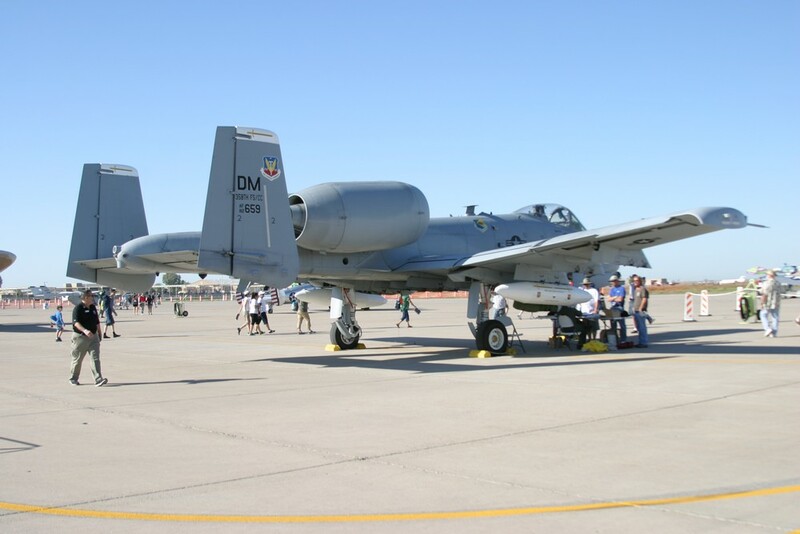 Themed “Lighting in the Desert”, Luke Days 2014 spoke to the future of not only the USAF, but airshows as well. 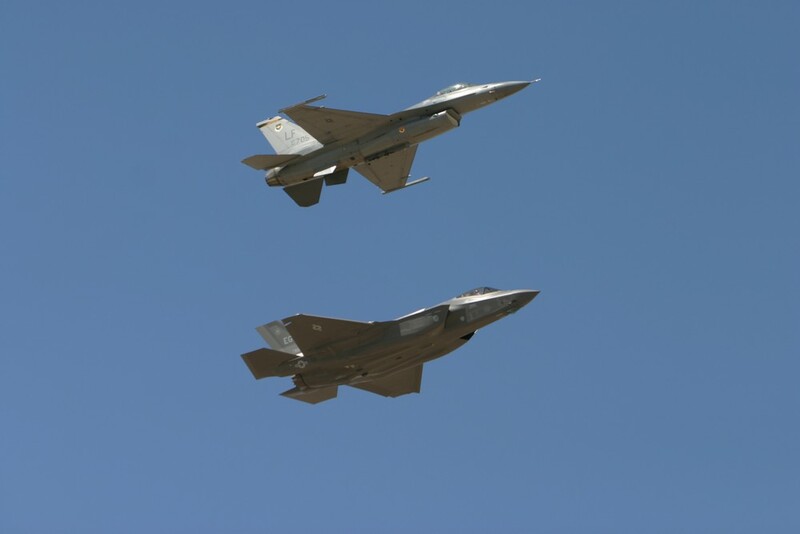 New to Luke AFB, the undisputed stars of the show was the brand new F-35A Lightning II and F-22 Raptor. 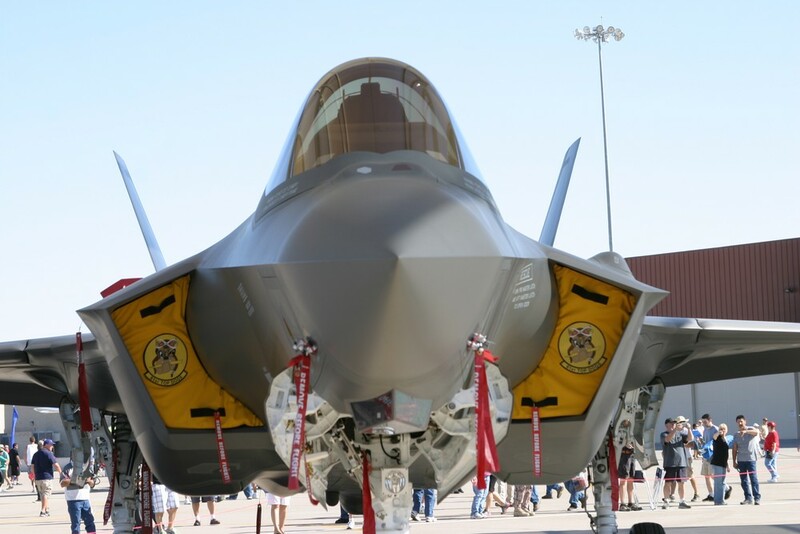 Brand new to Luke, the F-35A is the newest attack aircraft in the USAF inventory and this highly capable stealth aircraft was on both static and flying display, drawing crowds from open to close. Representing the next generation of multi-role strike aircraft, the F-35A is the undisputed king of putting sensors, technology and firepower on target anywhere, anytime, period. 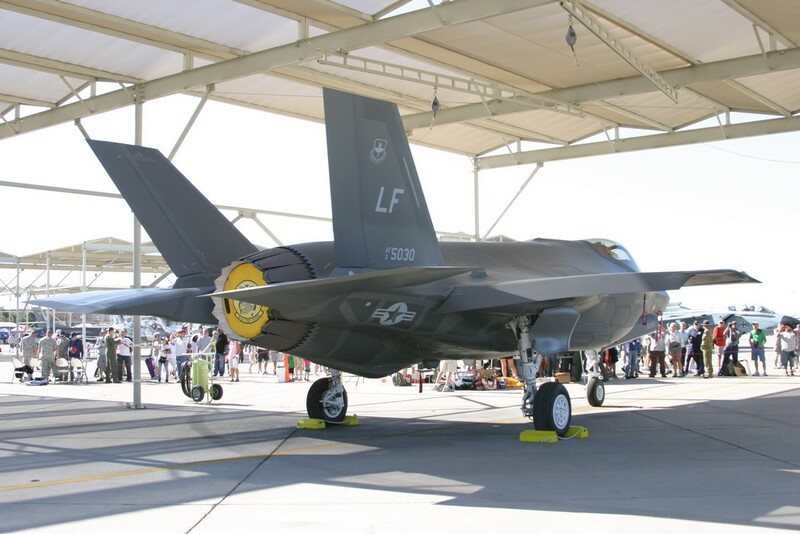 The Luke F-35A was joined by two more from Eglin Air Force Base, Florida. 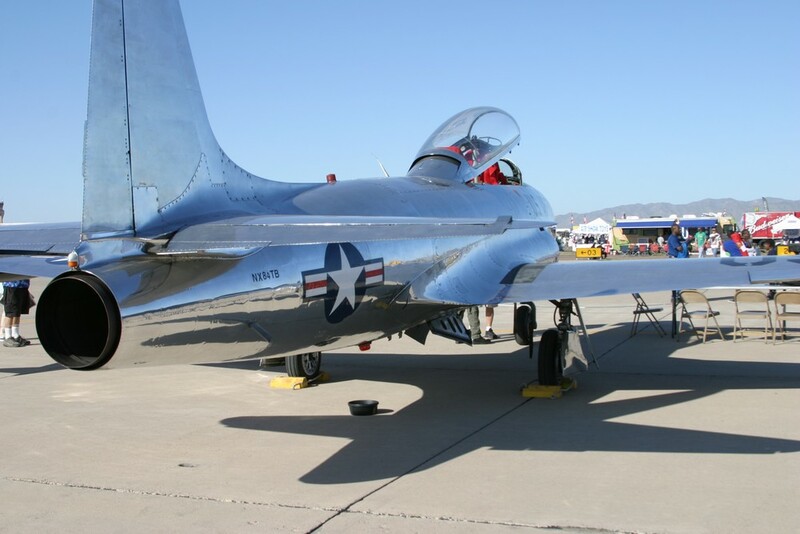 While illustrating the future, homage was paid to the rich history of Luke as well as the name Lightning with several formation passes with Skidoo, the P-38 Lighting from Planes of Fame and one of the Eglin F-35A’s. 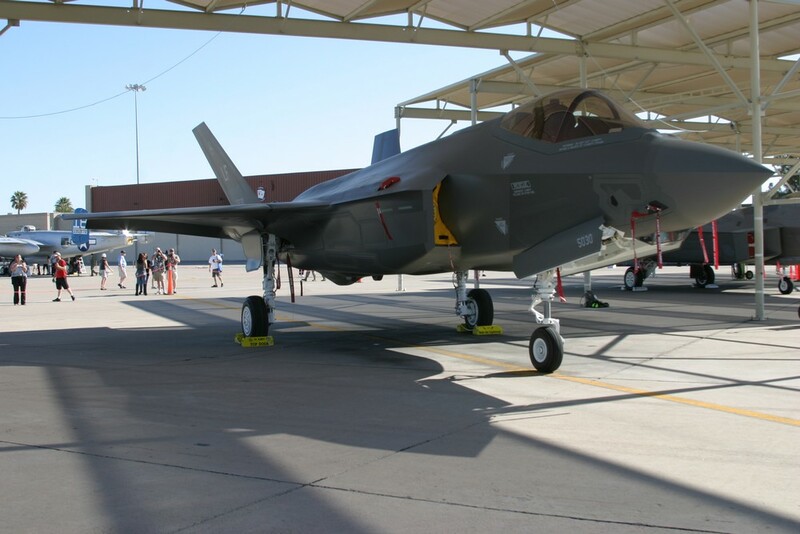 It would have been impossible to get the Luke F-35A out from behind the constant, 5 deep crowd of people clamoring to see the latest in fighter technology. 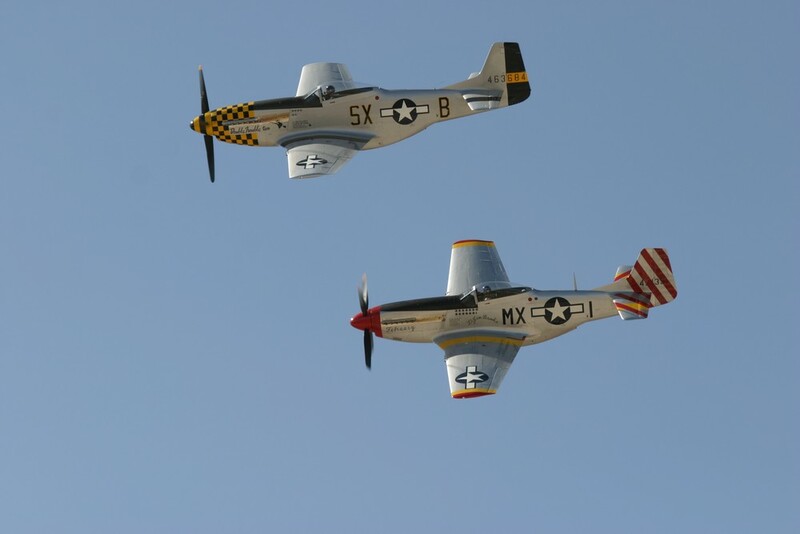 Representing the state of the art for their respective generations the sight of these aircraft in flight, together, was as rare as it was unforgettable. 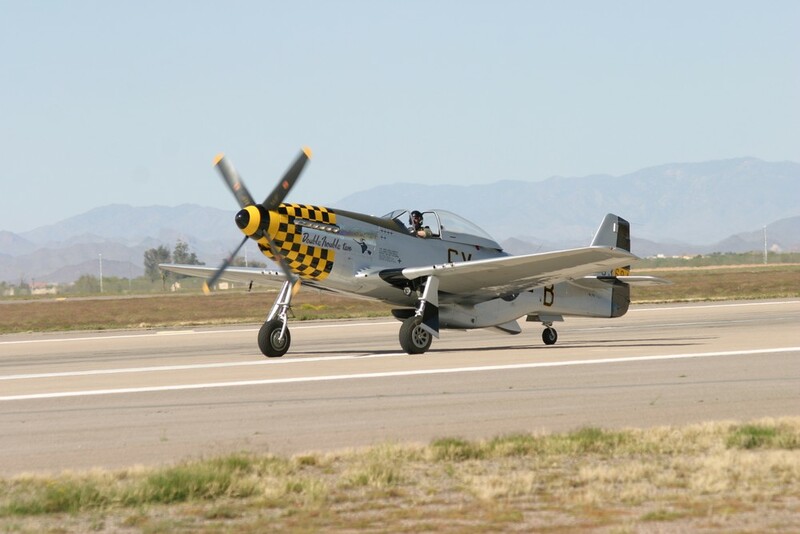 Also on hand, a wonderful assortment of vintage aircraft helped to remind the younger generations of the sacrifices and triumphs of those who have flown before them. 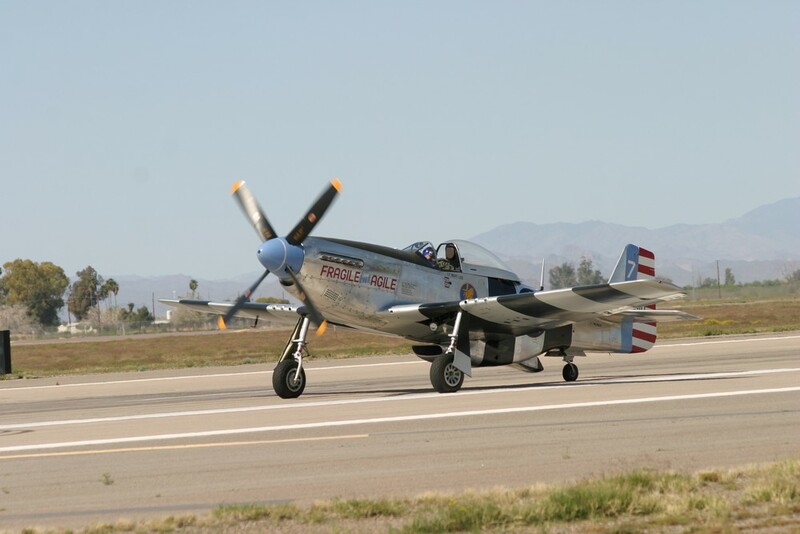 The opportunity provided to educate those of the age most likely to fly such aircraft as the F-35A and beyond about the vintage types of aircraft and missions that made Luke “the Home of the Fighter Pilot” is priceless. 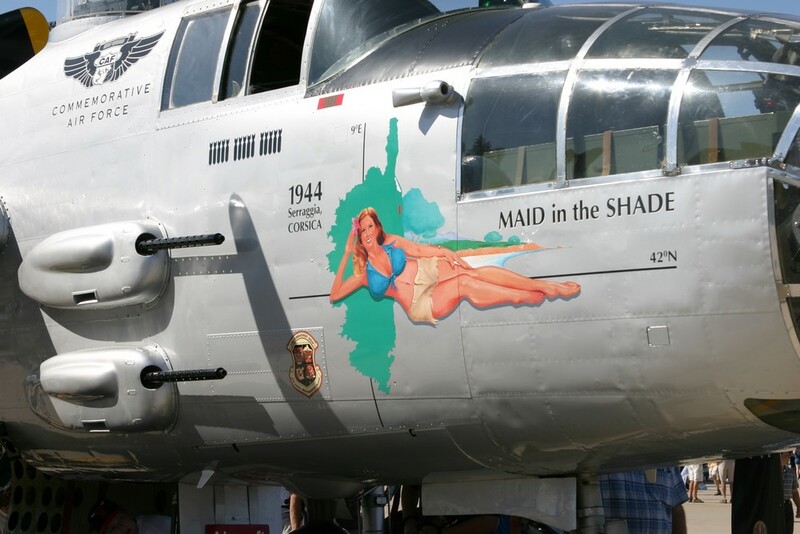 The Commemorative Air Force provided several vintage aircraft including a B-17, “Sentimental Journey” and a B-25, “Maid in the Shade”. This particular B-25 is an actual WWII veteran, having flown 15 combat missions in the Mediterranean Theater. Also flown in from Colorado, a TBM Avenger from the Rocky Mountain wing offered visitors a chance to view the cockpit. 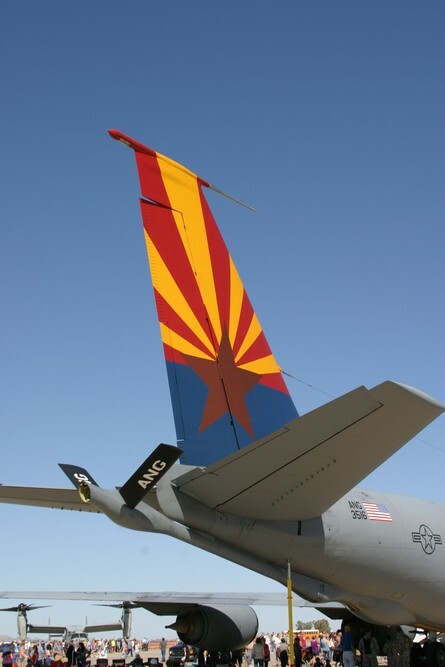 With a beautifully painted vertical stabilizer and representing Arizona well the Air National Guard, 161st Aerial Refueling Wing attended with a KC-135 Stratotanker. 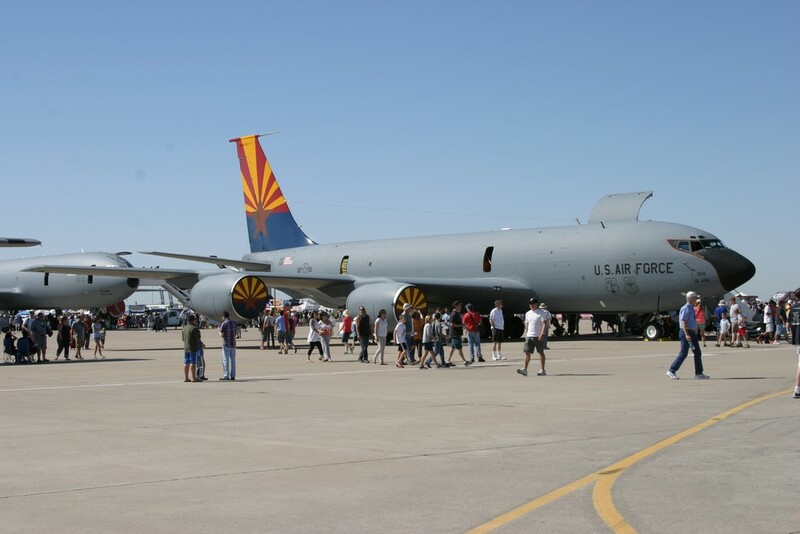 With access to the aircraft available, this, as well as the KC-10, was one of the most popular aircraft for the younger generation since they seem to thoroughly enjoy the view offered by the chance to see where all those cool photos of aircraft being refueled are taken from. 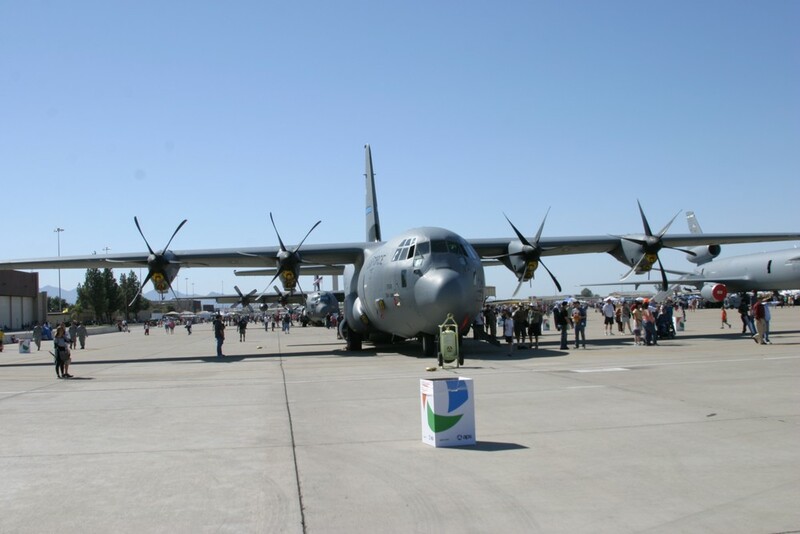 Also in attendance, the United States Marine Corps brought three MV-22 Osprey tilt-rotor aircraft, two of which for flight demonstration and the other for static display. 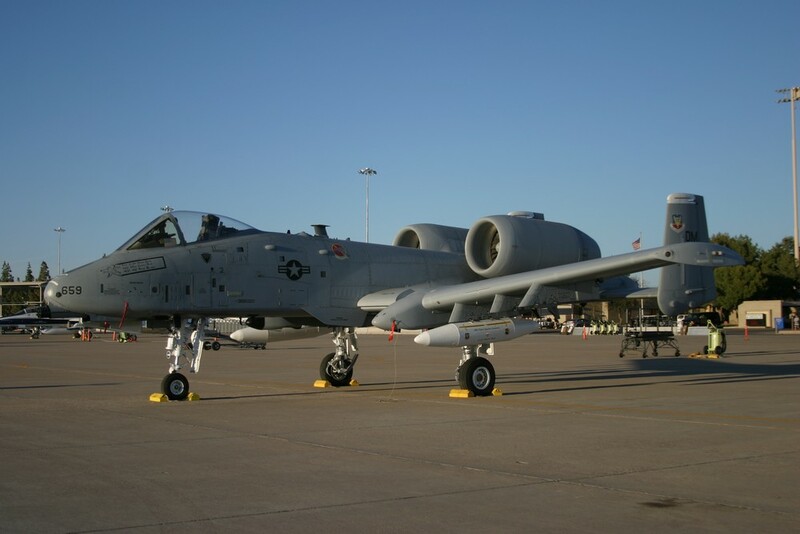 Only by getting near one of these aircraft can someone fully understand the power and size of this aircraft. 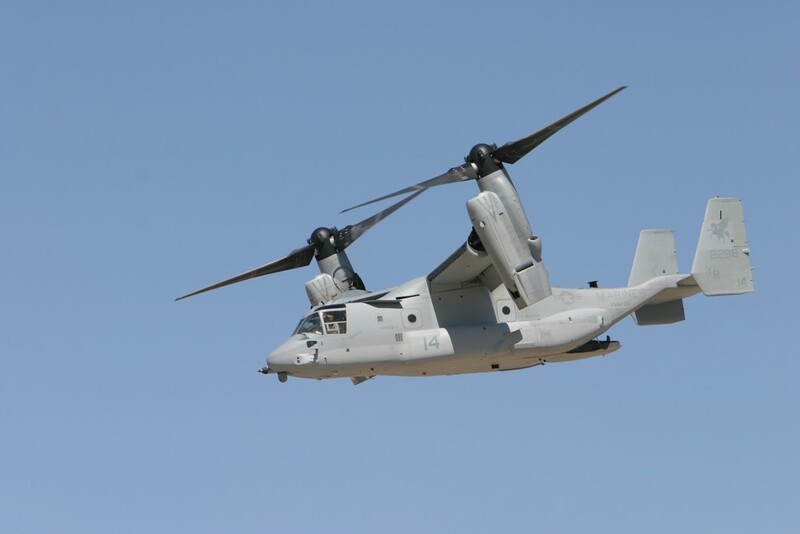 The Marines performed and excellent demonstration of the Osprey’s abilities. Impressive to witness the aircraft transition to the various flight modes it is capable of. 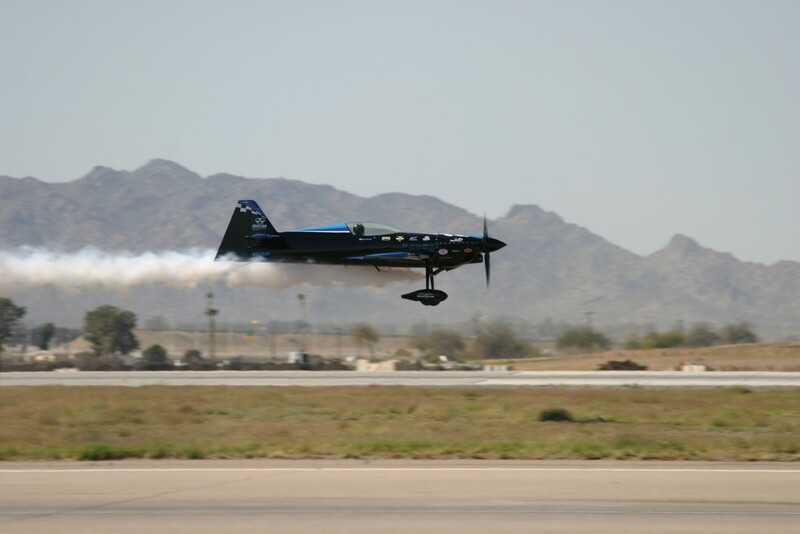 The flight demonstrations also included some mind bending aerobatic performances from Matt Chapman, Rob Holland, The Firebirds Team and Mike Goulian. 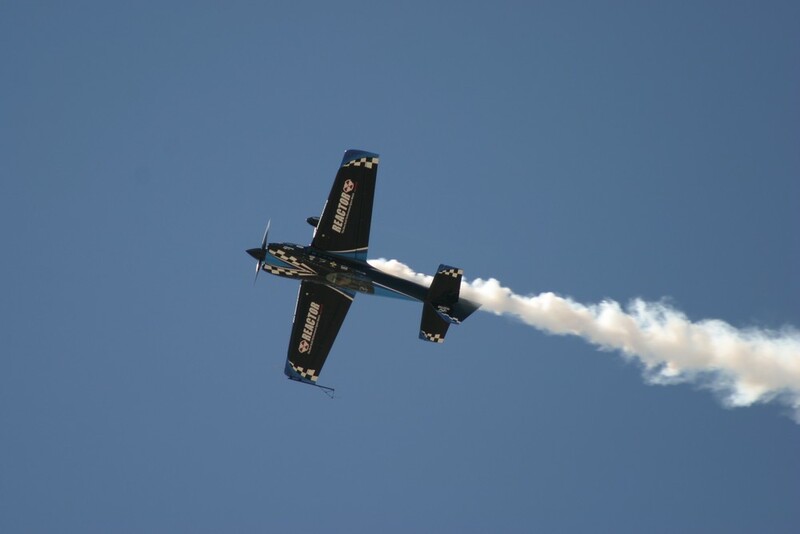 Seamlessly transitioning from high speed dives to vertical climbs, then to wrenching, tight maneuvers and back to graceful arcs across the sky, these pilots demonstrate the limits of controlled flight. 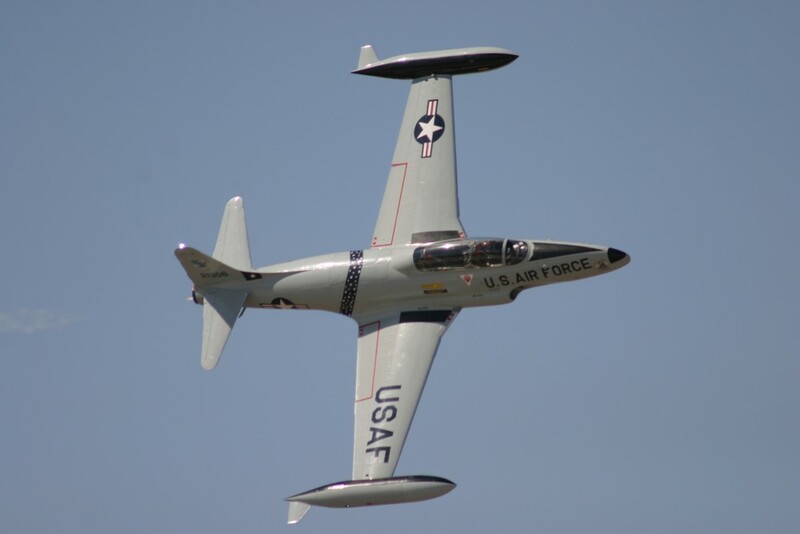 Thrilling to watch, the pilots maintain a level of precision and control any one can appreciate while performing maneuvers that would make any physics teacher scratch their head. 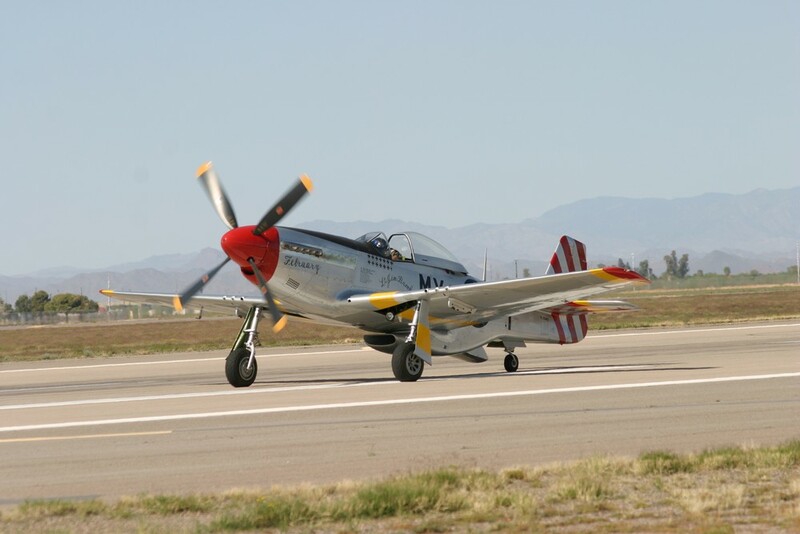 In contrast with the extreme performance presented by the aerobatic aircraft and pilots, the Bremont Horsemen, flying beautiful, legendary P-51 Mustangs flew a fantastic routine of power and grace. 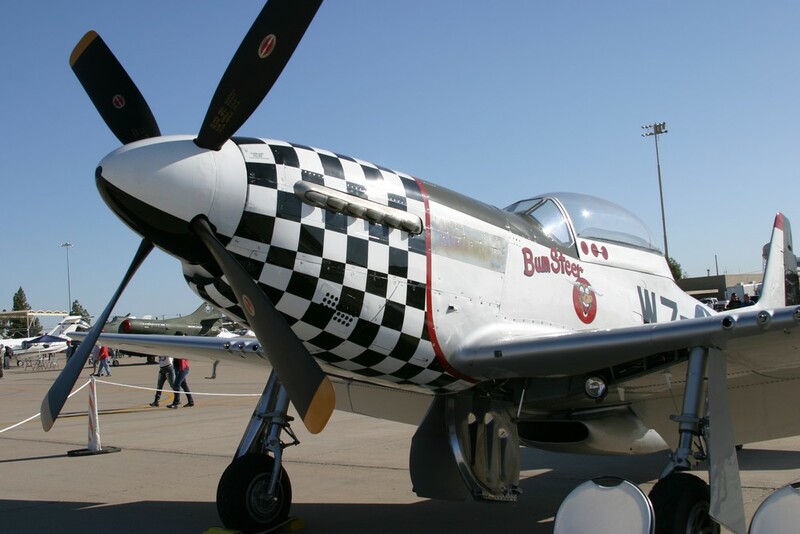 Set to professionally choreographed and composed music, the three pilots smoothly maneuver their thundering Mustangs in formation through barrel rolls, loops and sweeping photo passes. 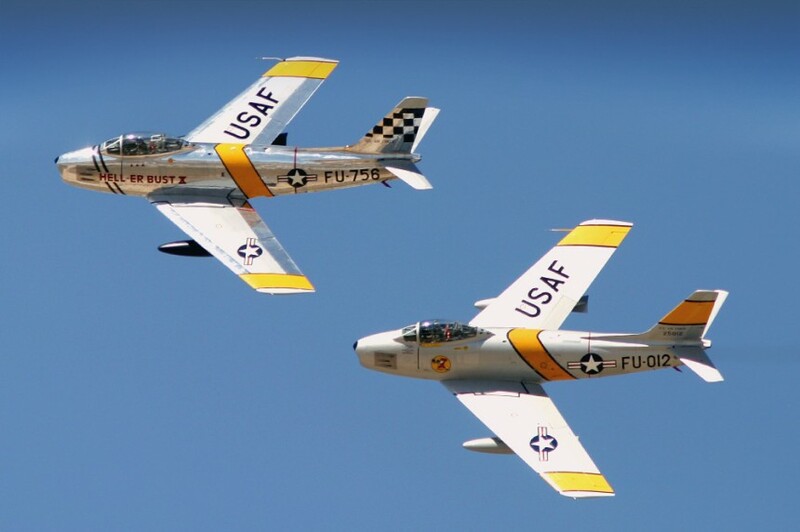 Rounding out the flight performances, a pair of F-86s, a T-33, and a Tuskegee Airmen P-51 impress, dazzle and excite the audience. 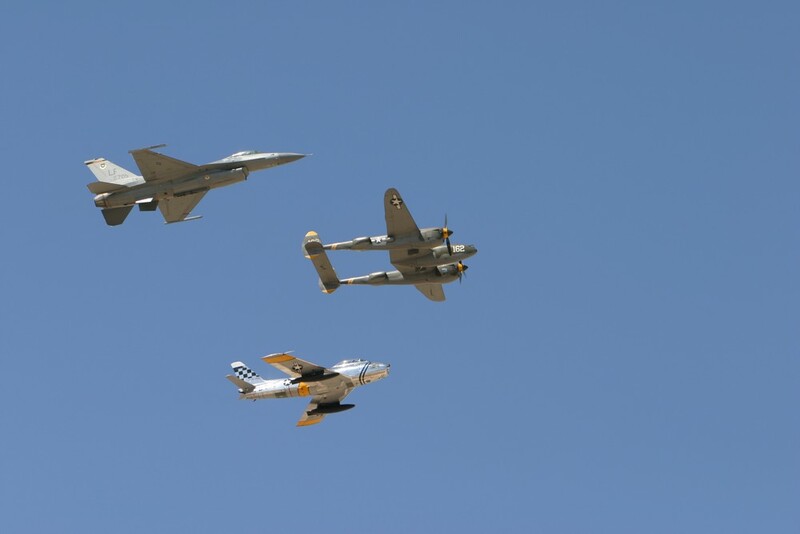 Though, it would be easy to guess there was more than one misty eye when an F-86 joined with a P-38 and a Luke F-16 for the Heritage Flight. 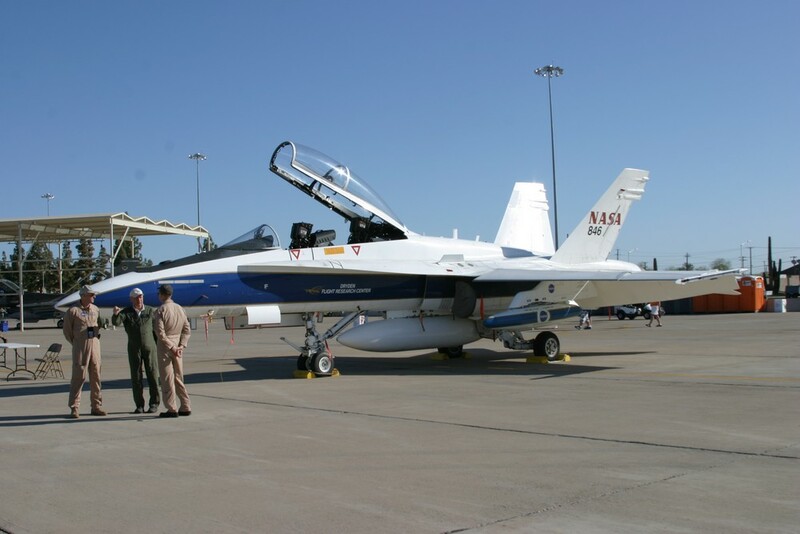 Conceived as a monument to all of the nations aviators, young, old and still to come, and combining aircraft from multiple generations of Air Force history, this is a demonstration of respect, admiration and patriotism. 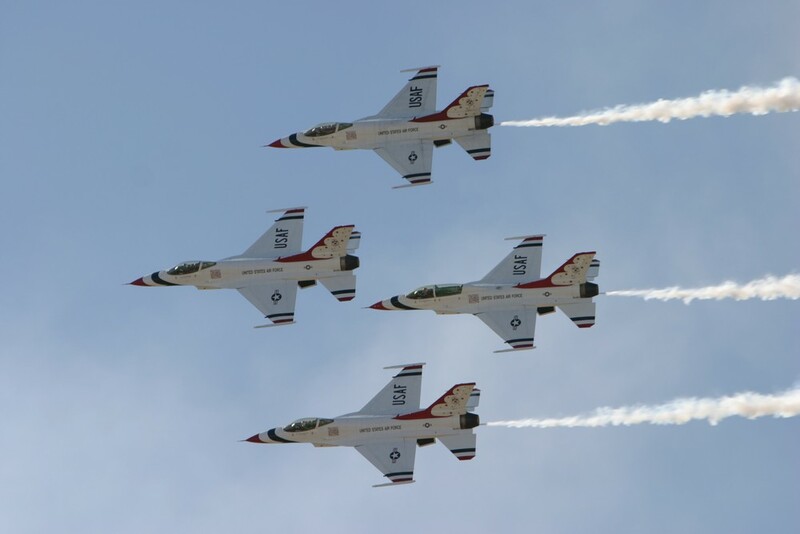 Concluding the days events, the perennial favorites, the incredible United States Air Force Thunderbirds begin their demonstration of perfection. 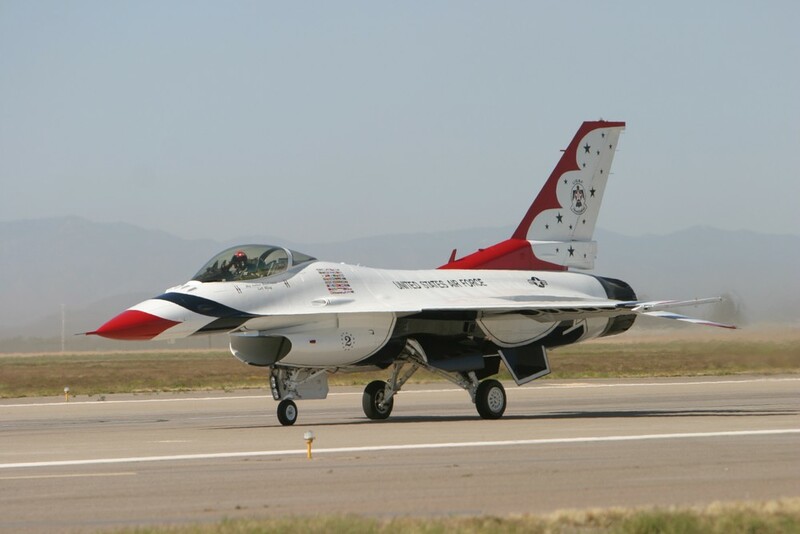 Gleaming in the sun under the perfect blue sky, the red, white and blue F-16s come to life. After a short time taxiing to the end of the runway the initial four ship formation blasts into the sky, quickly followed by the two opposing solos, Thunderbirds 5 and 6. 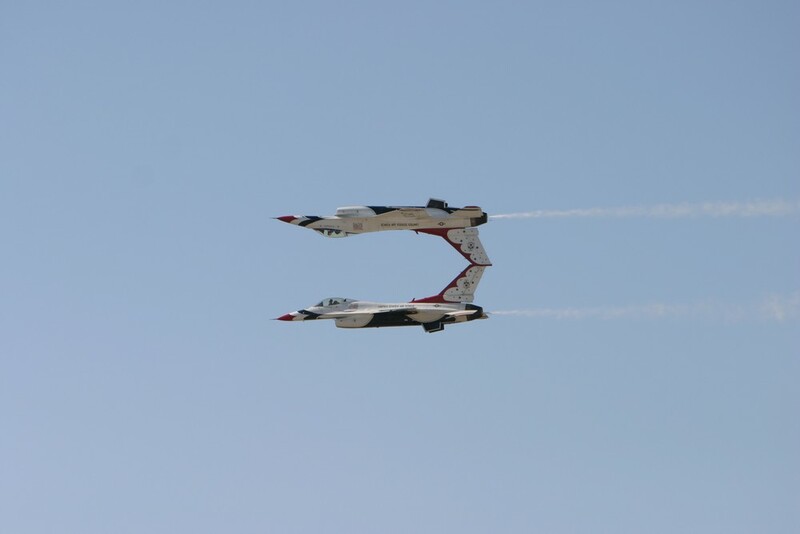 With merely feet, sometimes inches between the aircraft, the Thunderbirds prove once again why the USAF has the finest pilots in the world. 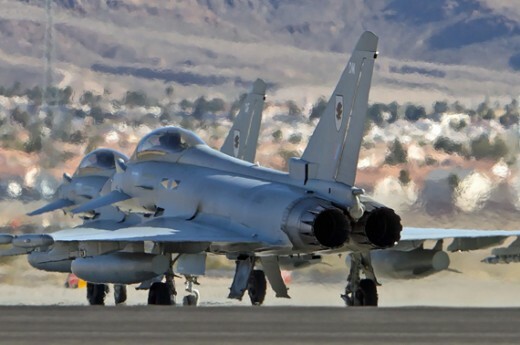 Precision rolls, loops, and passes, including a couple sneak passes with afterburners scorching the sky and sound itself struggling to keep pace, thrill, amaze and inspire all who watch. With their final break to landing, and the sun setting in the western sky the day ends, and the anticipation for the next Luke Days, 2016 begins to build. 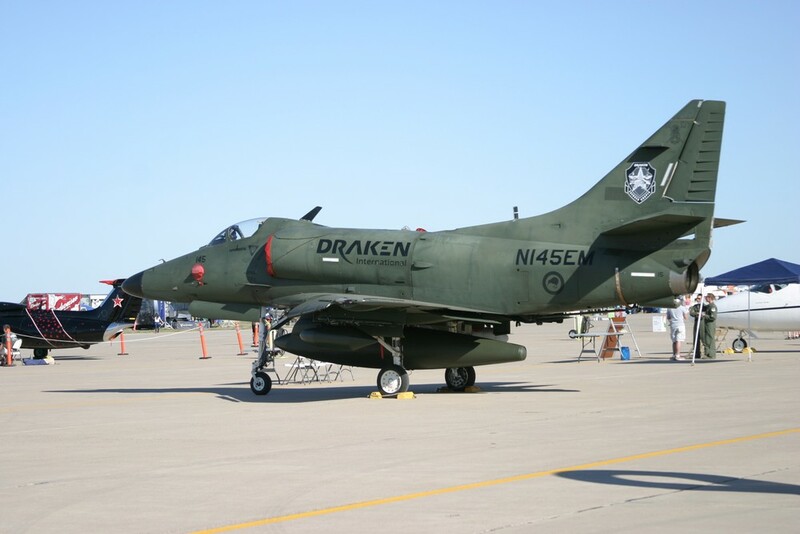 Listen Live to our own Dr Sky as he does interviews from the Airshow.